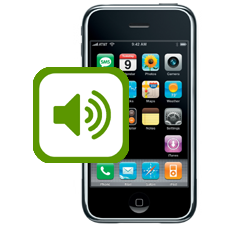 If your iPhone 3GS is having issues when you answer a call on speaker phone, being the person on the other end can hear you, but you are unable to hear them. This in most cases is due to a faulty main speaker. Also if playing music through the main speaker, and nothing is heard then our expert iPhone technicians will be able to help by replacing your 3GSs speaker.